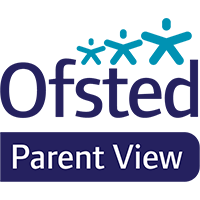 Parent view asks for your opinion on aspects of our school. Please click on the icon. Any children with sickness should be regarded as infectious and kept away from the school until the diarrhoea and vomitting have stopped for at least 48 hours. Infection is usually spread through the faecal oral route (i.e. not washing hands after going to the toilet) either by hand to hand contact, on toys, or indirectly through food or water. Viruses may also be spread through the air in droplets after sickness or when coughing or sneezing.